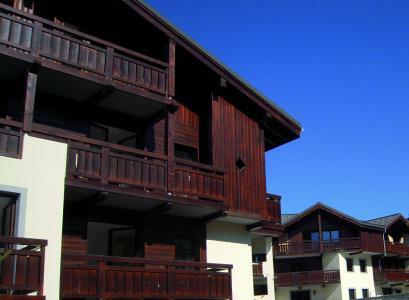 For successful summer holidays in the mountains, book your accommodation to Les Gets in Northern Alps massive, France. This mountain resort will offer you exceptionnal areas and surprising landscapes. Your summer accommodation to Les Gets will be for you a moment of wellness in the heart of a beautiful nature and you will spend holidays in wide open spaces. Our moutain offers will make you live warm emotions with all your family. We propose you quality holidays accommodation in all French massives, in the heart of mountains. We have many residences to rent for your summer to Les Gets. Let yourself be carried by a feeling of happiness, enjoy the summer holidays in the mountains full of sun and discoveries ! The residence Les Fermes d'Emiguy is located 300 m away fom the center of the resort of Les Gets, and the shops. This residence is composed of 74 apartments shared 4 buildings (with elevator) and individual chalets. You will benefit of the swimming pool, the jacuzzi, and the fitness area. 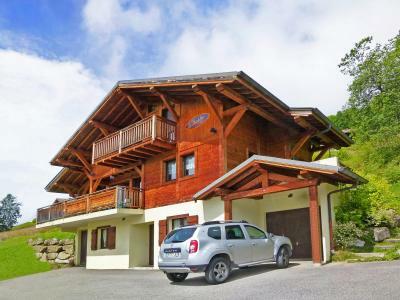 Spacious and comfortable chalet in the village of Les Gets, it has an open fire place, a sauna and free wi-fi. The chalet is located on a beautiful and south facing spot on a hillside that offers unspoilt views over the french Alps. On the first floor you find the spacious living-dining area with panoramic windows and access to the balcony. Fully equipped high-quality open plan kitchen. Each of the four bedrooms has an en suite bathroom. Two bedrooms (double bed each) are located on the ground floor, the two bedrooms with four beds each are located on the top floor. There is a big private car park in front of the house. The centre of the village of Les Gets is at around at 1,5 km away, where you will find several restaurants and various shops, clubs.